Jonathan Bean is a Research Fellow at the Independent Institute and Professor of History at Southern Illinois University. 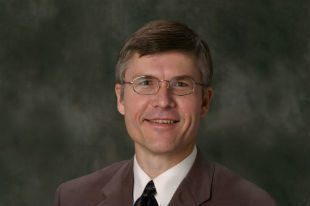 He received his Ph.D. in Business History from the Ohio State University in 1994. Bean is the author of Race and Liberty in America: The Essential Reader, that received praise from Choice (American Library Association) and Diverse Issues in Higher Education (formerly Black Issues in Higher Education). His popular articles, interviews and investigative work have appeared in print or on air with a wide range of media outlets: NPR, Fox Business, CBS, C-Span, U.S. News & World Report, Newsweek, Washington Times, Christian Science Monitor, Mother Jones, Salon, National Review, Weekly Standard, McClatchy-Tribune (syndicated columns), Business Week, Forbes, Fortune Small Business, Chronicle of Higher Education, American Banker, Commercial Real Estate, and Good Society. During the 2008 presidential race, Bean served as nonpartisan election analyst for Correio Braziliense, a major Brazilian newspaper. He has also been interviewed by dozens of radio stations. Bean is a Member of the Illinois State Advisory Panel for the U.S. Commission on Civil Rights and a Member of the Academic Hall of Fame at St. Michael’s College. He is the recipient of the Henry Adams Prize for Best Book of the Year from the Society for History in the Federal Government and the Herman E. Krooss Prize from the Business History Conference. Bean was named Outstanding Teacher of the Year at Southern Illinois University in 2005. In 2017, Southern Illinois University awarded Bean the Graduate Faculty Mentor Award of Excellence for his work with M.A. and PhD students. He has testified before the U.S. Senate on corruption in government contracting, consulted for the Japanese government, and served as an expert in court cases involving corporate litigation and a successful civil right challenge to discrimination by the Small Business Administration. Starting with the scholarly network H-Business in 1990, and continuing through online instruction from the 1990s-present, Bean has been active in online education. He served on the Chancellor’s Advisory Committee on Distance Education to align the university’s online courses with the Higher Learning Commission’s demand for real interaction between students and instructors. He has authored a peer-reviewed an interactive text Opposing Viewpoints in U.S. History (2018) that makes use of primary sources, short videos and other elements to engage students in the reading and discussion of past controversies.